Leather mini wallet. 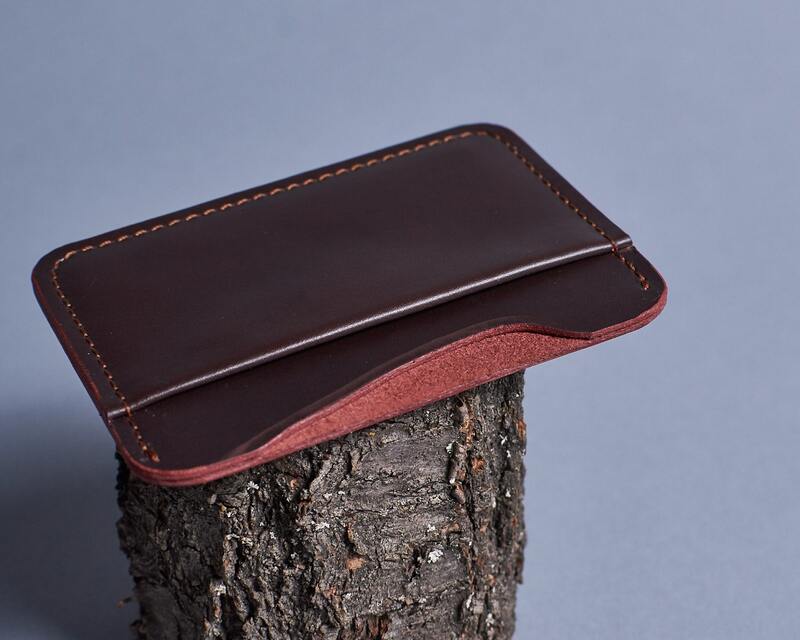 Leather credit card holder. Minimalist wallet. 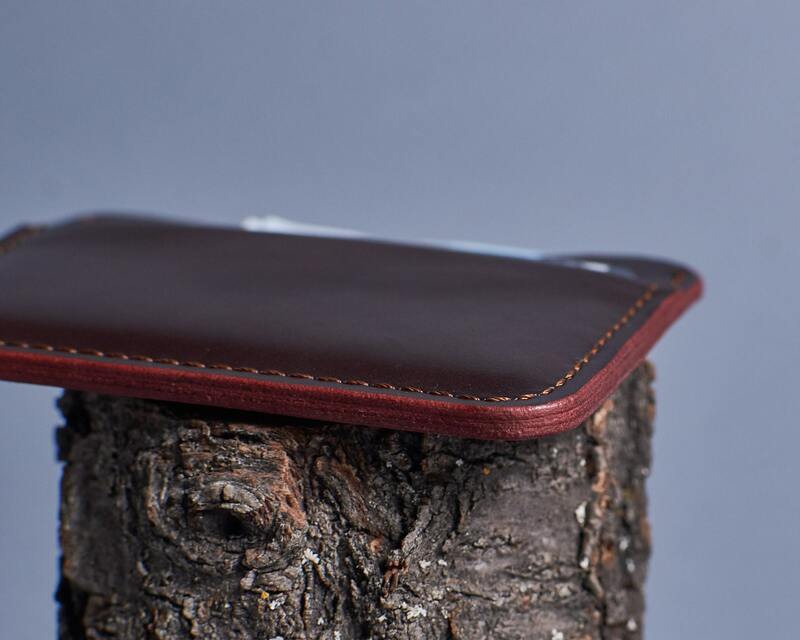 Leather thin wallet. Two slot cards holder. 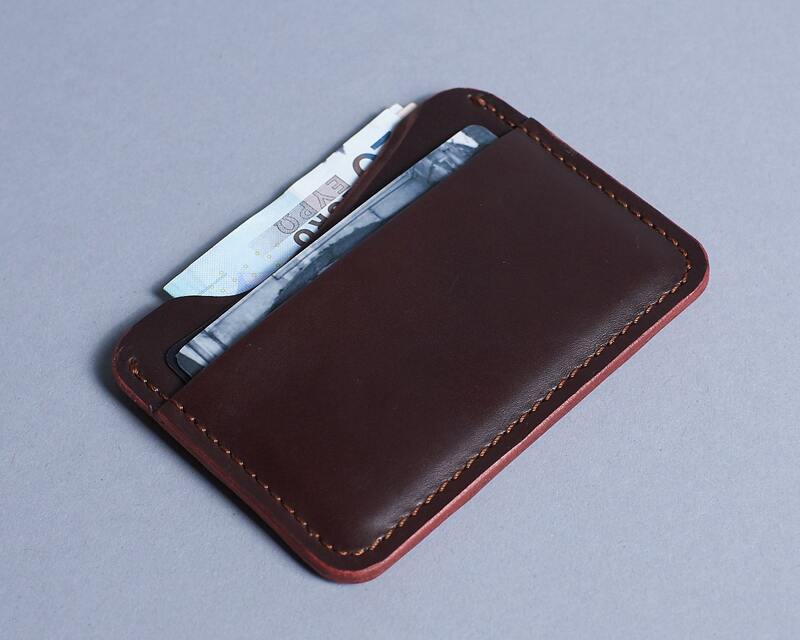 Brown leather wallet. 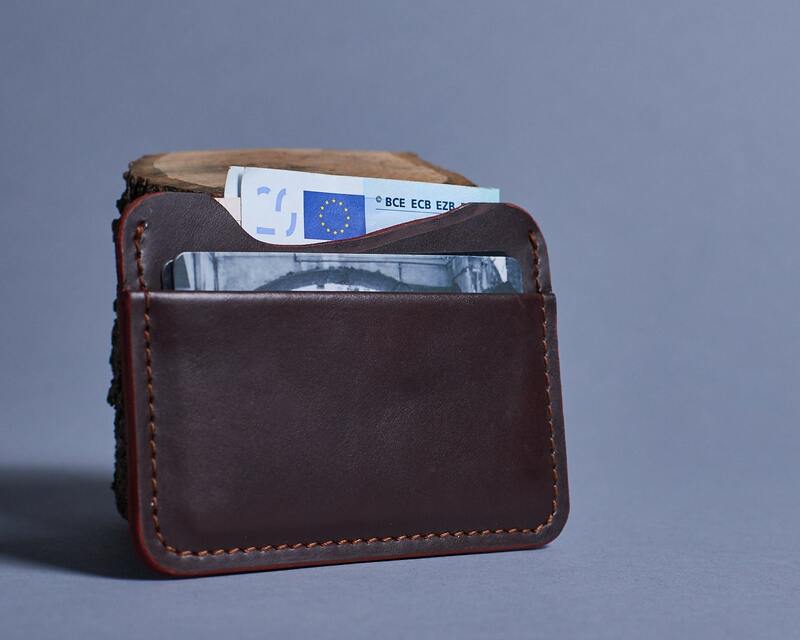 Leather mini wallet good for a couple of credit cards and folded cash. A slim solution for those who do not like big wallets. Glued and stitched edges. Burnished with beeswax. Suitable for most plastics cards and business cards.